4x rewards points on purchases from Hyatt Hotels. 2x rewards on restaurants, airline tickets, local transits, fitness clubs and gyms purchases. No foreign transactions. It will help you to save money if you visit abroad or if you purchase products from abroad. 60000 bonus available with the card. It worth $600. One night free stay opportunity at Hyatt Hotels. High balance transfer fee and cash advance fee. Current rate is 5%. High minimum APR for purchase, cash advance and balance transfer. The World of Hyatt Credit Card is a hotel card which you can get benefit on purchases from Hyatt Hotels, all restaurants, airline tickets, local transits, fitness clubs and gyms. You can get the card from Chase official website with clicking on apply button above. The card is providing 60000 bonus points to consumers. Besides 4x bonus points on purchases on Hyatt hotels. 2x points to all restaurants, airline tickets, local transits, fitness clubs and gyms. 1x for all other purchase categories. There is also free night opportunity of the card. The card’s minimum APR is a little bit high and it won’t be very profitable for consumers with excellent credit score. $95 annual fee is not much for card like this. However cash advance and balance transfer fees are high with 5 percent rate. Cash Advance APR is already at very high rates. 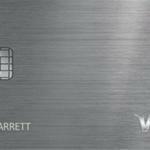 If you are not a regular customer of Hyatt Hotels, you can find better card opportunities. 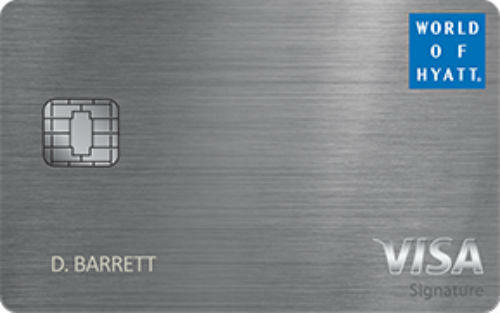 You can find rates, bonuses, rewards and editor scores of The World of Hyatt Credit Card below. 17.99% – 24.99% 4x on purchases from Hyatt Hotels. 2x on restaurants, airline tickets, local transits, fitness clubs and gyms purchases. 40000 bonus when you spend $3000 in first three months. 20000 additional bonus when you spend $6000 in 6 months after you get the card. You can see user reviews below for The World of Hyatt Credit Card. If you have any thoughts on this card, you can also write a review.